Studios Inc Exhibition Space is pleased to present Site Unseen: Architectural Installations, an exhibition featuring resident artist Jill Downen, on view from 09.11.15 to 10.16.15 with an opening reception Friday, 09.11.15 from 6:00 – 9:00 PM. 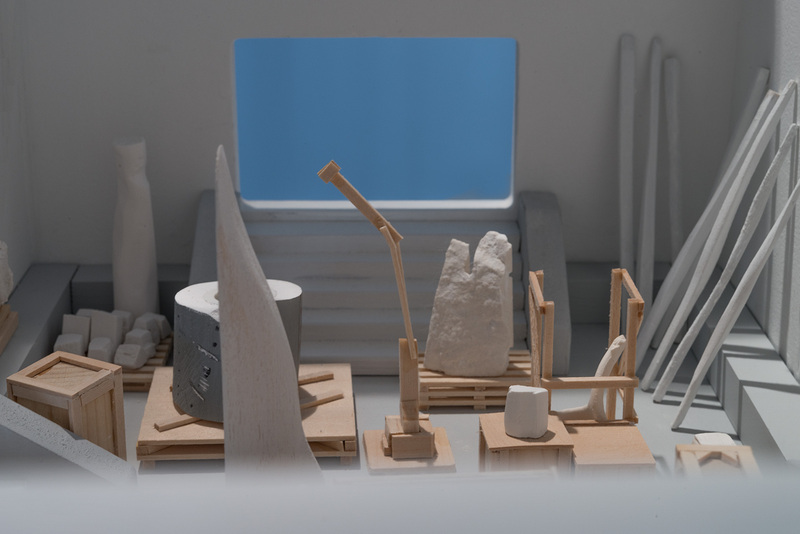 Site Unseen: Architectural Installations is an exhibition of sculptural miniature rooms that address the symbiotic relationship between the human body and architecture. Each room is constructed with materials that include plaster, concrete, gold leaf and glass. Dramatic scale shifts, multiple views and sight lines come together in an immersive experience for viewers. Downen is an assistant professor at the Kansas City Art Institute and a 2015 Charlotte Street Visual Artist Award Fellow. Bruno David Gallery in St. Louis represents her artwork. Jill Downen is a resident artist at Studios Inc. The Studios Inc provides studio space, professional development, networking, and exhibitions for mid-career artists in Greater Kansas City.